As a freelance offering creative and marketing services, I’ve found it vital to keep up to date with a range of skills and disciplines. I’ve been able to exercise many of those, and brush up on a couple more on one recent branding and digital project. 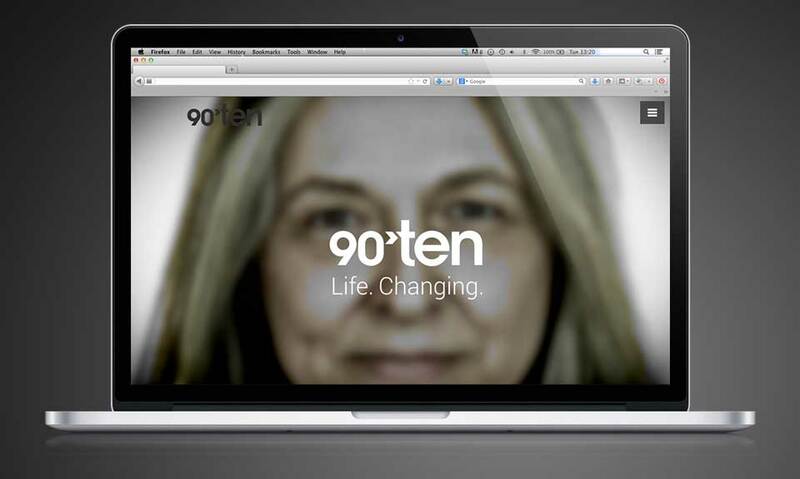 Recently I’ve been working a lot with the award-winning healthcare PR and communications company 90TEN. It was one of those scenarios where I went in for a couple of days to help out on a specific client project, and got on well enough with them that nearly a year later I’m still working extensively with them. I like to think it’s because I collaborate easily and use my experience to suggest plenty of solutions while offering support to the less seasoned permanent staff; it could just as easily be that I make the tea a bit more often than other freelance support. Either way, what’s nice about becoming trusted in this context is that you get asked to help out with a wide variety of projects, covering lots of disciplines. Partly from necessity, but also because I’m interested in everything, I love to keep lots of parallel skills going, and to keep aware of what’s going on. It means that not only can I make myself useful in many different ways, but I can also offer a joined-up, objective view of things and understand how the different components fit together. This was crystallised perfectly in none other than the company’s own rebrand which began earlier this year. Working with 90TEN director and key creative, Peter Impey, we started with the logo, progressing rapidly through setting the tone of voice and visual language, to producing a website that created a clear distinction between 90TEN, its competitors, and its own past. The website brief was for something affordable but that wasn’t full of the same content as so many other corporate sites. Given the key proposition is about focusing on people rather than products, the site was structured around a series of large images of faces, beautifully shot by fashion photographer Olivier Rieu, and video portraits of 90TEN’s personnel. Being fairly adept around the WordPress interface meant I was confident in taking on the build of the site; as a by-product of that, I also found myself editing all the video as well, which meant brushing up my Adobe Premiere skills as some of it had to conform to non-standard aspect ratios. 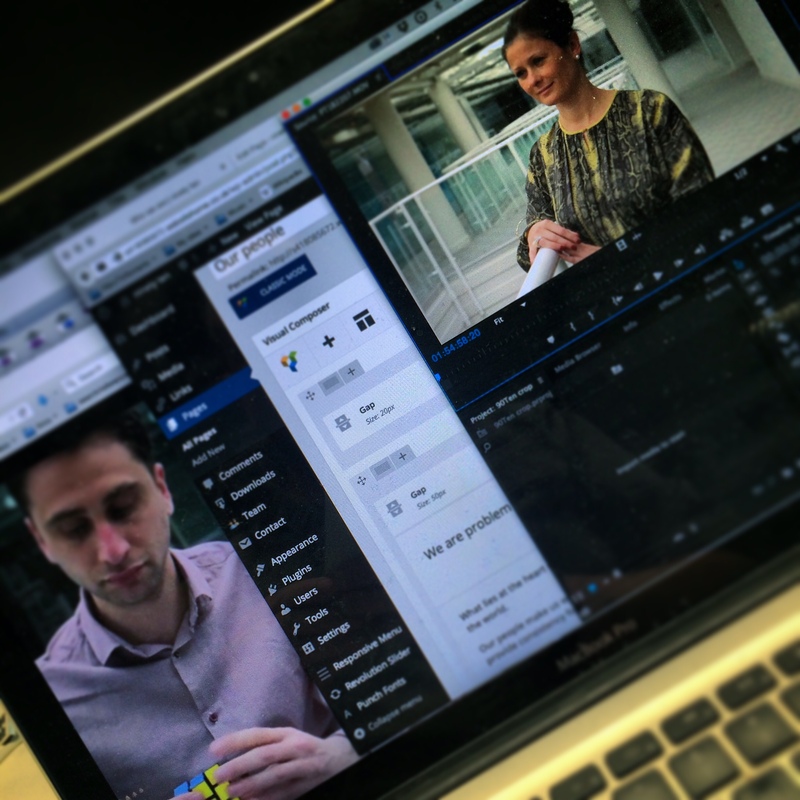 Being heavily involved in conceiving the video thankfully gave me a head start in how it should go together. Doing the site build also meant paying attention to all the organic SEO – quantity of keywords, meta descriptions, alt-tagging all the images – all things it’s easy to miss, plus even stepping with a bit of copywriting. It also meant reformatting all the video three times for various browsers, something you may not initially expect is going to be an issue. With designing the stationery, office signage, HTML email and pitch templates as well, it’s nice to be able to contribute to every aspect of the way 90TEN presents itself to the outside world. In this instance I’ve had the role of a full-service design and digital agency, in a very satisfying, collaborative, design and production partnership. The 90TEN site won best agency site at the PM Society Digital Awards 2016, among some very high-powered competition. A very brief video summary of the site was provided as part of the entry requirement. That video is here, and was produced with using a combination of Adobe Premiere, and Photoshop’s video timeline.